The AIA group is a leading life insurance organisation in Asia, with a unique heritage of serving customers across the world’s most dynamic region for 90 years. It provides consumers and businesses with products and services for life insurance, retirement planning, accident and health insurance as well as wealth management solutions. Through an extensive network of 250,000 agents and 20,000 employees across 14 geographical markers, the AIA group services over 20 million customers in the region. With one of the most extensive networks of any life insurer in the region, it’s well diversified geographic presence across Asia reduces country and market risks. As a result, AIA benefits from the greater financial stability of developed markets as well as the growth potential of emerging markets. Established in 1849 as a mutual company, AMP listed on the Australian and New Zealand Stock Exchanges in mid-1998. AMP has transformed from a mutual society centered on life insurance into a leading wealth management company operating regionally. In December 2003, AMP split into two separate regionally-focused listed companies – AMP in Australia and HHG in the UK. Asteron Life has been a specialist life insurance company for more than 185 years, aiming to help people protect what’s most dear to them. Asteron has been a member of the Suncorp Network, a company with $97 billion in assets, and over 9 million customers. Suncorp has announced on 28th Feb 2019 on the ASX that it has completed the sale of its Australian life business to TAL Dai-ichi Life Australia. ClearView has been helping Australians invest their money for over 20 years. We specialise in providing financial advice to help our clients grow assets and protect their families. Together with providing quality financial advice, we offer a comprehensive range of investment, superannuation and retirement options as well as life insurance cover to help ensure people are financially prepared for the future. CommInsure is a leader in the Australian insurance industry and part of the Commonwealth Bank Group. The CommInsure name was first introduced in 1999. Although the name is relatively new, CommInsure’s roots within the Australian insurance industry go back well over one hundred years. Onepath (formerly ING) is one of Australia’s leading fund managers and life insurers. Now part of ANZ, Onepath has over $40 billion in assets under management. The insurance arm of Onepath was previously known as Mercantile Mutual before being purchased by ING. Macquarie Life was established in 1990 as part of the Macquarie Bank Group. Macquarie have a proven track record in insurance and have established a reputation for best practice in the innovative products they design and the service they provide. Macquarie FutureWise is a genuinely unique offering that has been developed on the foundation of expertise and understanding of life insurance. The Macquarie philosophy of innovation and excellence in product and service has achieved significant benefits for clients and underpins Macquarie’s reputation as a market leader. The Macquarie Life insurance business was transferred to Zurich Australia Limited (Zurich) on 1 October 2016. In 2010 MLC aqcuired Aviva (formerly Norwich Union) to become Australia’s largest life insurer. MLC helps Australians to maintain their financial security, with a range of quality services to deal with life’s unforeseen events. MLC has been around since 1886, when the Citizen’s Life Assurance Company Ltd was incorporated in Sydney. As an insurer, MLC Ltd has been awarded an AA rating by international ratings agency Standard and Poor’s. The Tower Group is an innovative and competitive provider of life insurance, risk, superannuation and retirement solutions. Tower’s objective is to deliver the right products, services and information to its customers to help them make informed decisions about their risk and superannuation needs. Being named Money Management’s Risk Company of the Year in both 2006 and 2007 and Australian Banking and Finance Magazine’s Best Life Insurance Company 2009 represents Tower’s commitment to excellence in life insurance. Tower has also won numerous awards for their Accelerated Protection offering. Zurich Financial Services Group is an insurance-based financial services provider. The Group holds especially strong positions in three key markets – the United States, United Kingdom and Switzerland – and listings on the Zurich and London stock exchanges. Founded in 1872, Zurich is headquartered in Zurich, Switzerland. We have offices in approximately 50 countries and employ about 62,000 people worldwide. Our extensive worldwide network, bolstered by local expertise, allows Zurich Financial Services to offer competitive insurance and risk management solutions to small businesses, corporations and multinational companies as well as a comprehensive range of non-life (property and casualty) and life insurance. MetLife are a leading provider of life insurance and retirement solutions, partnering with employers and super funds to help more Australians create a lifestyle they love – and providing help when they need it most. Their 145-year history and global presence gives them the scale and experience to be a valued and trusted partner in business. They protect customers in more than 40 countries worldwide. 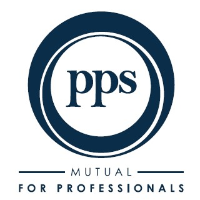 PPS Mutual products are only offered to a defined group of Australian professionals. They operate on a mutual model, which means you’re a Member of the company and you share in its ownership. When you join PPS Mutual, you get exclusive access to a tailor-made portfolio of insurance benefits called PPS Mutual Professionals Choice – each one created to answer the specific protection needs of a defined group of Australia’s professionals. You also receive a share of the annual profit generated by the PPS Mutual product. After ten years’ membership you can start to withdraw this money from your Profit-Share account. NEOS life insurance products are issued by NobleOak, and are reinsured by a subsidiary of one of the world’s largest insurers, Pacific Life Re.